During my follow-up appointment we received the results for the chromosome tests from Eisley. I wasn’t at all excepting to hear the results just yet, in fact, they told us anywhere from 4-8 weeks and I assumed they would just call us. I am so thankful that Dr. Hill decided to tell us face to face. The results; There were no chromosome abnormalities. The damage done to the placenta from the blood clots was too much and the placenta just wasn’t able to nourish her enough. I feel afraid to tell you what I actually thought in those moments after first hearing and as I drove home…Honestly, I was so deeply disappointed. My placenta alone failed her? That was it? That is our “answer”? Even despite the many talks with Dr. Daye (our fms) about her believing it was a chromosome abnormality of some kind, I had felt all along that it was just the placenta and not a chromosome thing, but honestly, part of me wanted to hear that she had something wrong with her to cause this. Because she is gone, part of me wanted to hear that she wouldn’t have made it outside the womb. For ways it’s hard to explain, knowing my placenta failed her stirs up a new ache and agony inside of me. She was perfect. She would have survived had it not been for my placenta failing. I ache knowing that. Dr. Hill had me sit in his office to let me process everything. Before I could say a word, he started talking with me about how he know I probably feel a sense of guilt and like I failed her. Yes, I do. He told me I probably am wondering what I could have done differently to change this outcome. Yes, often. He went on to tell me that he believed that there was nothing that could have been done differently to change this. He told me even if I went on bedrest from day one, this could have happened. He was trying so hard, but nothing was making me feel better. Until he told me this; because of the damage to the placenta was so bad and caused such a severe stunt of her growth and development, she would have been in the NICU for at least a year and would probably have had many health problems for life. Even though she had no chromosome abnormalities, she still could have suffered. I never wanted that for her. While sitting in his office, I remembered what I felt God told me when I was in the hospital with her. One day I asked God if he would please just tell me what was going to happen. If he would tell me whether she was going to make it or not. In that moment I knew He wasn’t going to tell me whether she would live or die but I felt that He knew what was best for our Eisley. I still truly believe that and it brings me comfort knowing she’s with Him, but honestly, it doesn’t take away the deep ache inside of me. On my drive home, I had my music on shuffle and ‘None But Jesus’ by Hillsong came on. 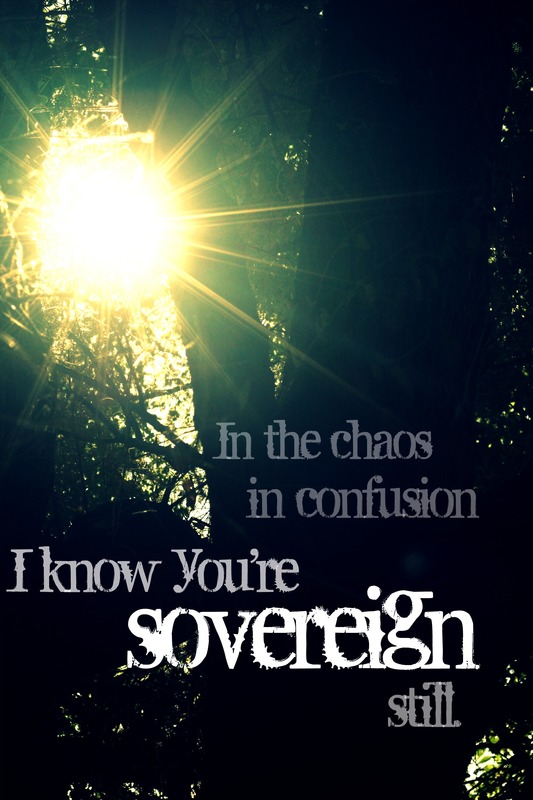 When I heard the line, “In the chaos, in confusion, I know you’re sovereign still”, my heart knew that to be true. Even having walked this road, I feel so strongly that He is still soveriegn. He is still worthy of our praise. He also knows how deeply our hearts ache. He can handle the difficult questions I have and the times I feel like throwing a temper tantrum and scream “it’s just not fair!” He meets me in my grief and sorrow and let’s me know He is still with me. I really need to share with you that just because I am saying ‘He is sovereign still’ and ‘He knew best for her’, doesn’t mean I am copping out on how I am feeling. I’m still aching and struggling, and I am still asking Him the hard questions. I am still confused and hurting and upset and wounded and sometimes I feel abandoned by the One I put my trust in. But I am saying, even though I am walking this hard road, I deeply know, He is still sovereign. I hope I am making sense. I don’t want you to think I am writing and saying I have it all together and am using ‘God is good’ as a way to copp out of how I truly feel. Because I do not have it all together, I’m a pretty big mess right now but I know deep inside, the truth still rings true no matter where I am or how I feel. And when I say He alone is how I am able to get through this time, I mean that. I was sitting here in my chair the other day thinking again, as I have many times lately, if it weren’t for Him, I don’t know how I would have walked through what we have, I don’t know how I would be walking right now. It doesn’t mean, since He is with me, I am cheery and bubbly-happy and have a huge smile on my face, no. The season I am in, He is with me in my grieving and my sorrow. Praying for you Jamie. I know he is with you and loving you. Eisley will never be forgotten by so many of us who don’t even know you. 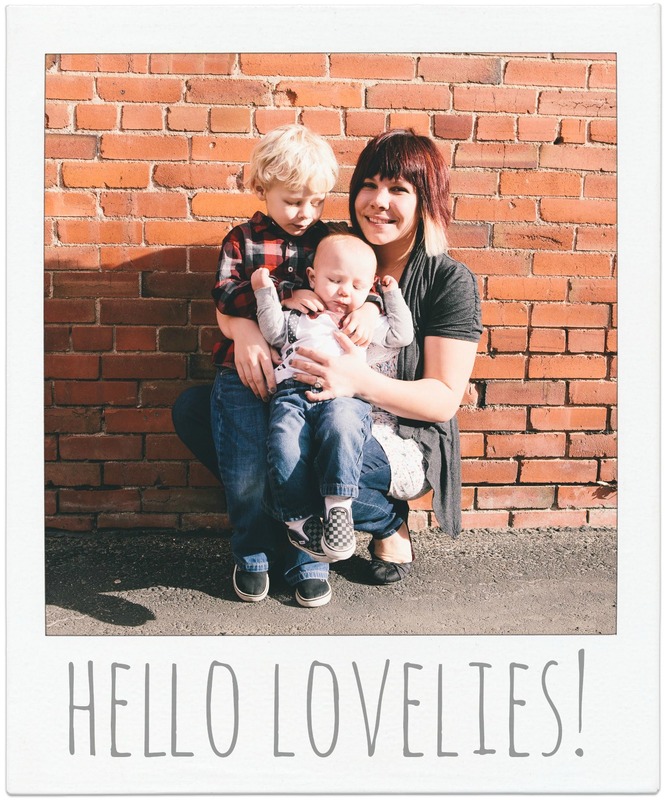 Your story has impacted us and we are changed because of it. I know you will laugh again and be happy again one day. It is ok to grieve. It takes time and it is important. It is ok to be sad and confused… still loving God all the while. I get it. I have been there. He will bring you through the sorrow. God bless you. I am so blessed and inspired by your amount of faith. I am touched by your blogs and pray for you as you walk this journey. I really cherish reading this. Your vulnerability blesses me more than you know. Thanks, James. I’m holding your heart in mine. Your grief and mine are vastly different, but I know that God is right here, always good and eternally sovereign. You are deeply loved. Thanks for sharing your very personal story and your faith journey along the way. Blessings! I just happened to stumble on your blog looking for Christmas ideas. Thank you for sharing! What a powerful testimony. I’m so sorry for the loss of your baby girl. I recognise a lot in your story. At our 20 week ultrasound we found out our baby boy has a serious congenital heart disease. They gave us a 50% chance for survival. Thank God our son is now 14 months old and doing well, although we don’t know for how long. We too felt and feel fear and hurt, while still knowing that whatever the outcome is going to be, He is there and He is sovereign. That is why we named our son Emmanuel, God is with us. Reading this is just what I needed today. God bless you and your beautiful family! Ps I see that right now you are living in the Netherlands. We do too. If you ever need anything or just want to meet, let me know!